Ramping up my personal pre-season preparations with a look back at what we learned from the Betway Cup. They are only pre-season games but ….. The primary purpose of pre-season friendlies is as preparation for the main event which is now just two weeks away even though an increasing number of teams have started to be use them as commercial revenue generating exercises in far off lands. Numerous Champions Cup competitions featuring European giants have been spawned to replace what used to be a trip down the road to play against local lower league opposition. Previously any notion of turning out against other top level sides from the same domestic competition before the Charity Shield had been held would have been vigorously shunned but now overseas exhibitions are now becoming the norm. Results should still not matter though and although the Betway Cup might have been our best chance of silverware this season, defeat is of much less importance than building fitness and developing cohesion in the squad. So what has the experience taught us? Do We Have a Better Balanced Squad? With the knowledge of hindsight I am confident that we look to be starting the season with a far more balanced squad. Then again had you asked me that question at the same time last year I would no doubt have answered in the same way; basking as I was in the afterglow of a creditable seventh place finish, expecting more of the same from a happy Payet and without the knowledge of how bad our player recruitment would turn out. This year’s transfer business feels a lot smarter with welcome in-comings and sensible out-goings. My assumption is that rumours of Liverpool (and others) sniffing around Manuel Lanzini and the comical £9 million interest by Everton in Winston Reid are no more than wishful thinking on the part of the clubs involved. Losing either would be a major blow to the make up of the squad. The full-back situation appears to be more stable, at least for the time being, and the signings of Javier Hernandez and Marka Arnautovic provide better and more dangerous attacking options. I remain hopeful that our transfer business is not complete and that the lack of pace in central midfield and at the centre of defence can yet be addressed. The ‘One Out One In’ transfer policy, if it exists, should dictate more signings following Fletcher’s move to Middlesbrough and the imminent departure of Feghouli. Are there any early signs of tactical changes? The manager’s preferred style of play is still not clear to me. Admittedly we have not been able to feature key individuals such as Lanzini, Hernandez, Reid and Michail Antonio in any of the pre-season games but, nevertheless, I would expect a manager to be clear and consistent as to how he wants to set up his team, with occasional tweaks depending on opposition and available personnel. The key decision for me surrounds the deployment of Hernandez; will he play in an unfamiliar loan striker role (which in West Ham history has involved chasing long hopeful high balls) or as part of a front two. If there is a front two how does Bilic also accommodate Lanzini as well as ensuring that the midfield retains a solid defensive base to protect the back-line? A task that requires two defensively minded midfield players in my opinion. From what I have seen of the pre-season games (only on streams unfortunately) the general level of fitness and stamina looked to be of a higher standard, suggesting that the training camp approach was an excellent decision. The players also appeared to be more willing to press (rather than retreat) when the opposition had the ball and while recovering and keeping possession were notable improvements using that possession wisely was less impressive. What do we do with the ball now that we have it? Giving the benefit of the doubt, maybe it was the absence of the key players that contributed largely to the lack of ideas once in possession. Even without the retarding influence of Mark Noble the reluctance to move the ball forward quickly remained with the first instinct still being to pass the ball sideways or backwards. If a team is going to use a slow buildup then it needs players capable of producing unexpected quick bursts to create openings, either individually or through quick inter-passing movements. In the matches against Bremen movement off the ball was still patchy, particularly in central areas, and the primary tactic was to get the ball out wide when in attacking areas, presumably to aim for the head of a ghostly Andy Carroll. The approach reminds me of my Sunday League playing days where most goals are the result of defensive error rather than attacking craft. Pump it forward with the hope that a defender will make a mistake and let the striker in. It is encouraging that we now have a ‘fox in the box’ but even a fox needs something to feed from. An undoubted positive from the pre-season games has been the encouraging performances of academy players such as Nathan Holland, Declan Rice, Reece Burke and Toni Martinez. In the last two seasons youth players were used in Europa League fixtures only to disappear off on loan once the season started. I hope that this doesn’t happen again this time and that the pick of the crop are kept in the squad and introduced gradually and carefully into the first team. I don’t mean to sit on the bench as an unused substitute for thirteen games or to come on as a ninety second minute time wasting replacement but to be given reasonably regular meaningful run-outs. I believe that playing regularly in the Premier League 2 competition with the odd ten or fifteen minutes in the first team is better for a player’s development and integration than turning out for Peterboro against Rochdale in a League 1 relegation scrap. I am not advocating throwing young players in at the deep end but why not use them as backup rather than keep rolling out the same older or under-performing senior squad members? Sullivan: Give Me Just A Little More Time! Do the Chairman’s comments about short termism and balancing the books suggest that the next level is as far away as ever? “Give Me Just A Little More Time” was a 1970 top ten hit for Michigan based US soul band Chairman of the Board (the song was later recorded by Aussie songstress, Kylie Minogue). This week our own Chairman of the Board, David Sullivan took to the airwaves to celebrate what has largely been acknowledged as a triumphant week of West Ham transfer dealings. During his interview Sullivan accepted that by focusing on proven and experienced ability (i.e. older players) the club had adopted a short term view for its player recruitment. In effect, we need to give him (and the rest of the Board) a little more time before that promised assault on the next level becomes a reality. The problem is that breaking out of a short term strategy carries the same degree of difficult with each successive season. It is a dilemma. Buy experience players to ensure survival and you have no resale value to re-invest plus an ageing squad. Buy youngsters from lesser leagues and it is a gamble where anyone who excels is looking for better things after two years in any case; albeit with a tidy profit. Overall it was a reasonable interview by Sullivan although there was some licence with the way it was subsequently reported turning a reasonable commitment to be competitive in all of the competitions that West Ham entered into a claim that the club were looking to win the Premier League. I think many of us would be more than happy with a top half finish and some exciting cup runs. The other comment catching the attention of the headline writers were those suggesting Javier Hernandez might be the best player West Ham have ever signed (although I wasn’t sure whether ever in this context only related to the Gold and Sullivan era or to all-time). Although I am more than happy to see Hernandez in a West Ham shirt I think I will wait a while before hailing him as the new messiah. Until we see how Slaven Bilic integrates a player who is used to playing as part of a front two into his own system it will be impossible to assess his eventual effectiveness. There were also some hints that there could yet be more London Stadium arrivals during the transfer window although this was offset against a ‘One In One Out’ policy and the need to ‘balance the books’ with that old chestnut the £100m debt once again rearing its head. I guess ‘One In One Out’ makes some sense in that there is only a finite squad size but I hope that we would not pass up on a great deal simply because we hadn’t been able to shift some left over deadwood. There is continued speculation that Feghouli will be off to Turkey quite soon plus other assorted rumours concerning bids for Ayew, Snodgrass, Fletcher and Adrian. How an Adrian departure might work leaving the club with just one on-loan keeper is a mystery but I wouldn’t lose any sleep over any of the others taking their boots elsewhere. I would really liked for Ashley Fletcher to have worked out but, to me, he doesn’t have the balance or gait of a natural athlete. So if that results in five out then we should reasonably expect another five in; and please let one of them be Moussa Dembele! Bringing up the subject of the debt was rather disingenuous given that much of this (although not all) are loans owed to the Board themselves. As I understand it, the club is clear of bank debt although it does have an external credit facility borrowed against future TV revenues. There is no incentive for the Board to repay their own loans and so the figure is unlikely to change over time; so please stop mentioning it! Although the concept of a transfer budget or war chest doesn’t really exist in isolation from other costs such as player wages (apart from in the media) our net spend on player trading remains modest in what is otherwise a red hot market. Revenues must surely be up considerably with the new TV deal and stadium and so ambition should be reflected by directing much of this to recruitment. Another Chairman in the news this week was everyone’s favourite Bond villain, Daniel Levy, expressing his views that the escalation of transfer fees and wages in the Premier League are not sustainable. It is difficult to argue with him on that one as the agenda is largely set by clubs who are immune from normal business practices. In terms of revenues Spurs have massively over-achieved in the last two seasons; they are way behind the big five clubs and find themselves in a difficult position trying to compete. They have also performed well in recent years in player trading but are unable to match the salaries offered by the elite teams. It is only a matter of time before their major assets (players and manager) jump ship for larger rewards. The construction of their new stadium will also take its toll and it was amusing that Levy could not stop himself from having a sly dig by mentioning that it was being built without state aid. “Give Me Just A Little More Time” was written by prolific Motown songwriters Holland, Dozier and Holland but someone who may not need much more time is Nathan Holland, if reports coming out of the West Ham training camp are to be believed. I had previously mentioned him as looking lively during the Austria warm up games and as Slav loves a winger I am hoping we get to see more of him during the season. Please no loan deal with a club likely to be fighting a League 1 relegation battle. Author Geoff HopkinsPosted on July 27, 2017 July 27, 2017 Categories News, Transfers3 Comments on Sullivan: Give Me Just A Little More Time! 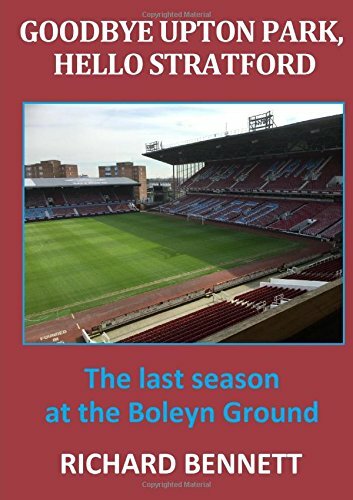 Author Geoff HopkinsPosted on July 24, 2017 July 24, 2017 Categories News, Transfers3 Comments on A Stronger West Ham. But Are There More To Come? West Ham Have a Hart: Now If We Only Had a Striker! Putting together deals, closing in, ready to swoop. Is West Ham’s game changer pursuit nearing completion? Like Dorothy’s companions on the yellow brick road in search of a heart, brain or courage to make them complete there is a widely held belief that all of Slaven Bilic’s problems would be solved “If I only had a striker!” Although no-one could argue that a reliable regular goal scoring striker hasn’t been a problem for a good few years, it is not the only weakness that causes concern if the target is to create a team capable of a comfortable top eight finish. Insufficient pace in the centre of midfield and central defence and a general inability to retain possession must also be addressed. The loan signing of Joe Hart to join former teammate Pablo Zabaleta at the London Stadium has now been confirmed and will surely add some additional security to the back line, at least on a temporary basis. I have stated before that I am not a fan of loan deals to resolve major shortcomings. Somehow it seems inappropriate for a club that is among the top twenty richest in the world. With the Hart deal apparently not having a buy option then I fear we will be left with an even bigger problem in twelve months’ time; particularly if Adrian stomps off with his gloves between his legs. It would be unreasonable to suggest that Hart and Zabaleta do not improve the squad and both are likely to start the season as first choice. But transfers should be more than just finding players who are better than what you have; it should focus on the identification and pursuit of the best footballers that you can attract. A free transfer and a loan who are both over 30 does not yet get the juices flowing for me, although I appreciate that 30 is relatively young for keeper. Are these two counted as game-changers I wonder? If reports by a ‘reliable journalist’ in the Evening Standard are to believed then Marko Arnautovic will also become a Hammer within the next day or two. Then again they also presented him as the answer to West Ham’s striker search. Now, I believe that if you had surveyed one hundred people to “Name a Proven Premier League Striker” then you would receive a resounding ‘Uh-Uh’ from the Family Fortunes computer if your answer was Arnautovic. It is encouraging that Stoke supporters seem sorry to see him leave but there is a suspicion that he needs to be thoroughly motivated in order to deliver his best. I wonder whether our backroom boys have the expertise to ensure this happens. Arnautovic would arrive as the club’s new record signing and will be happy to know that the bar is set very low in having to live up to that billing. The name of Javier Hernandez continues to pervade transfer rumour discussion and he is alleged to be edging closer to a move to the east end, where edging is synonymous with the usual imperceptible movement of a West Ham transfer chase. On the face of it Hernandez is a clinical finisher who has averaged close to a creditable goal every other game during his time in the Bundesliga with Bayer Leverkusen. At first glance his Premier League record of a goal every third appearance is more of Carlton Cole proportions but, when looking at goals scored per minute on the pitch, Hernandez comes out fifth placed in the all-time Premier League standings; a result of being used more as an impact substitution than as a starter by Manchester United. If we end up with Hart, Zabaleta, Arnautovic and Hernandez then it would represent a reasonable but safety first approach to the transfer window; focused more on survival than progression. It would deliver an outcome where our sights can be set at the top of mid-table rather than on the cusp of the relegation tussle. For the ‘glass half fullers’ we would have acquired a Premier League winner, England’s number one, a powerful play-maker and a lethal striker. The ‘glass half emptiers’ might dismiss them as an ageing full back, error prone keeper, moody winger and a striker who is best from off the bench. As ever it is all about opinions. The new link on the block over the last twenty four hours of Lazio’s Keita Balde Diao has the hallmarks of fantasy football league about it. It is nice to dream but this one just seems far too fanciful. The pre-season friendlies got underway with a less than impressive scoreless draw against an Austrian third tier club. It is pointless to read too much into these early run-outs even if you might expect a Premier League outfit to have enough in their locker to stroll past such opposition. If/ when we don’t beat Fulham later in the week expect to hear how they are further ahead in their preparations. From the very brief highlights of the Sturm Graz II game that I saw I thought Nathan Holland looked lively; looks, moves and runs like a footballer which many of the young players don’t. Author Richard BennettPosted on July 17, 2017 July 16, 2017 Categories News, Transfers1 Comment on England’s Number One on his way to West Ham? Other signings this week?